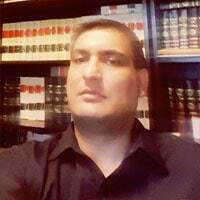 Mr Qureshi completed his LLB (honours) from University of London. After completing his law degree he undertook the Bar Vocational Course at City University, London. He then continued with his higher education and obtained his LLM degree from the University of Huddersfield, UK. Mr Qureshi has participated in various conferences around the world, including but not limited to Inia, Nepal, Thailand and UK. Mr Qureshi has been providing free legal advice to our charity since 2015.